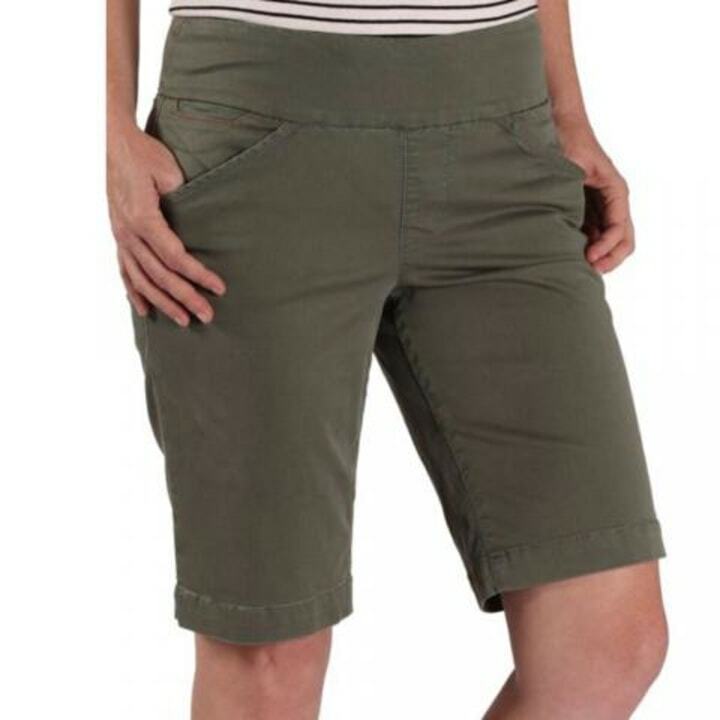 Mom shorts, aka Bermuda shorts, vary in length, but they're most often cut just above the knee and are sometimes belted at the waist. Vogue pointed out the trend and came up with the cheeky name, but longer length shorts in general are nothing new. 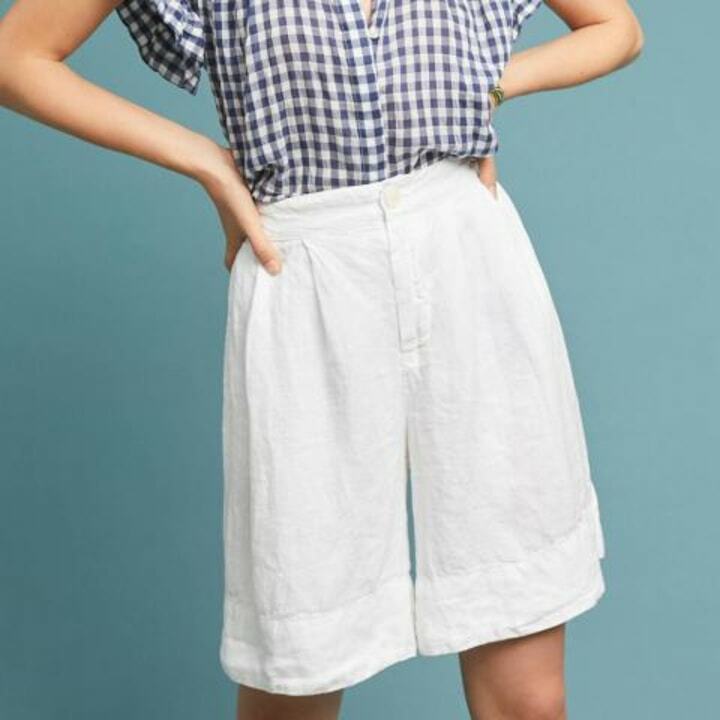 In fact, trendsetters ranging from Gigi Hadid to the ever-timeless Jacqueline Kennedy have all given the more modest look their stamp of approval. And who could ever forget Julia Roberts' fetching red pair in the film "Pretty Woman"? 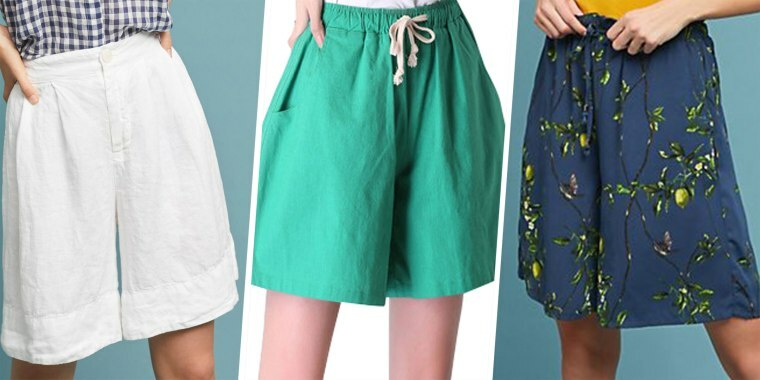 Whether you're looking for a bit more coverage from the sun or are just sick of short shorts, Bermuda shorts are a refreshing look for the summer. We're already crushing on these flirty options! When life gives you lemons ... rock an awesome pair of lemon-printed shorts, of course! 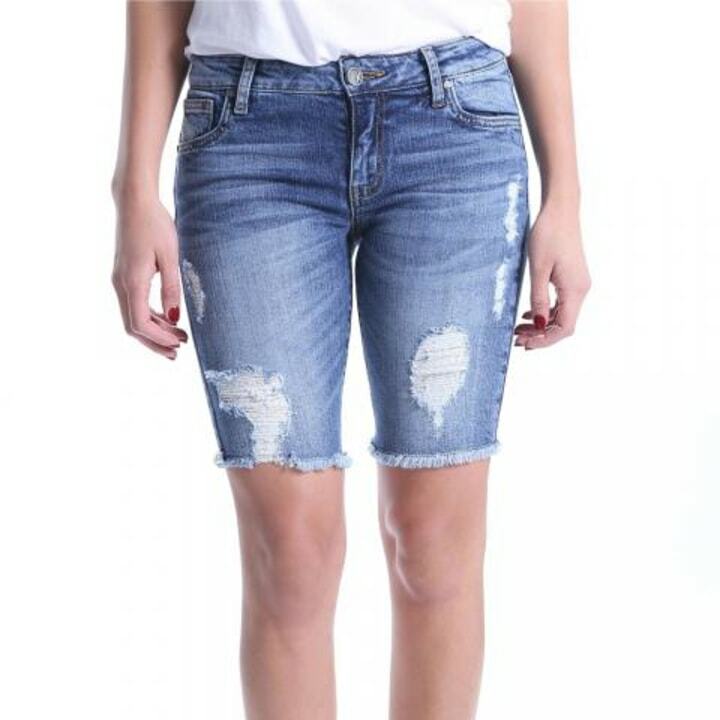 Go classic with a deconstructed pair of denim shorts from Kut from the Kloth. It's summer and that means it's time to break out your summer whites! Going for a more casual summer vibe? 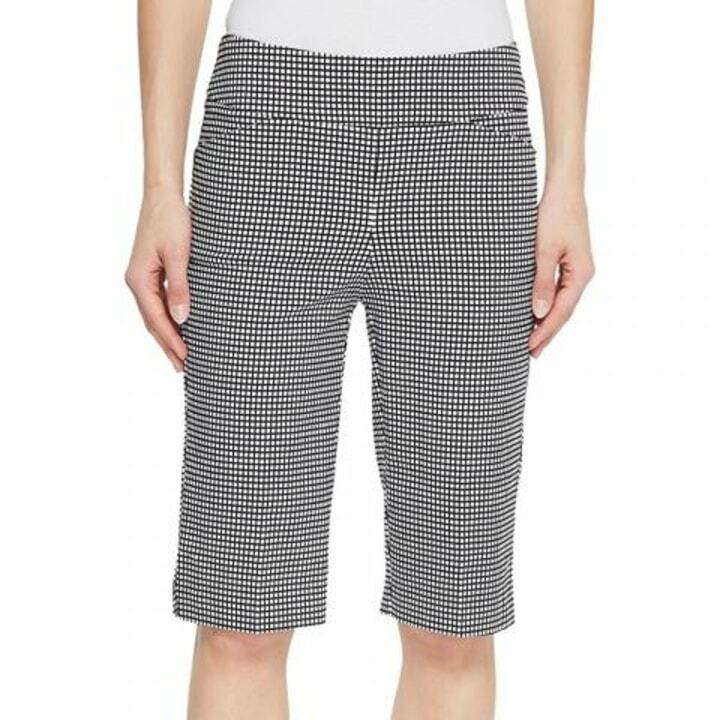 These slim-fitting Bermuda shorts are perfect for a day at the amusement park or some fun in the backyard with the kids. Pink doesn't have to be so delicate! 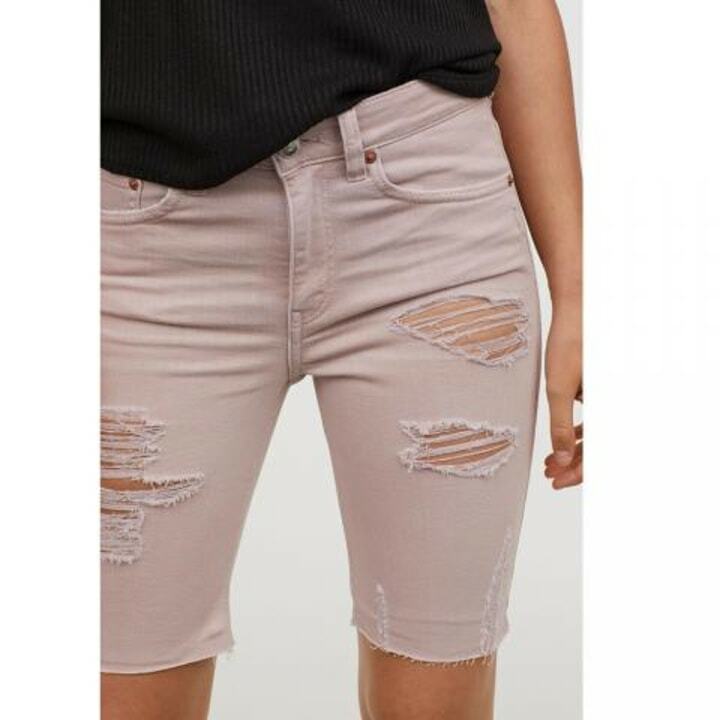 These Bermuda shorts feature a pretty pastel color but also bring major attitude with distressed details and a washed look. 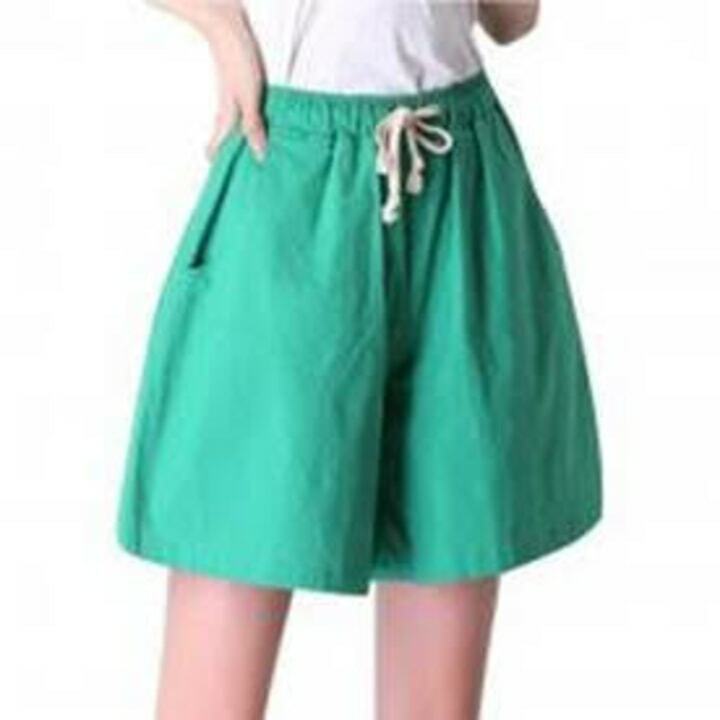 Stay comfy and cute in this cotton pair of Bermuda shorts with a waist-cinching drawstring. 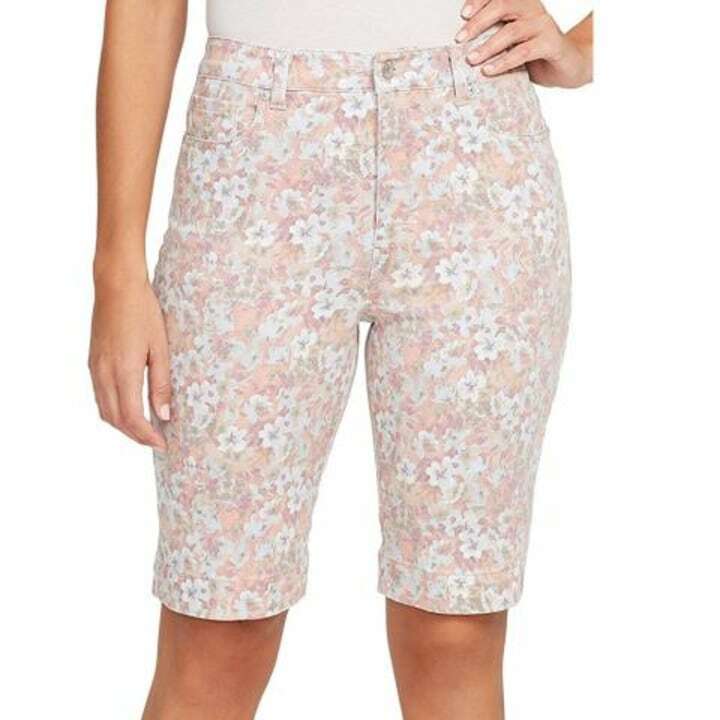 Who needs real flowers when you can rock a comfy and chic pair of floral shorts instead? You could even get away with wearing these full-coverage, printed shorts to work! So mom shorts are in. But are cargo shorts ever OK? That's a debate for another day.